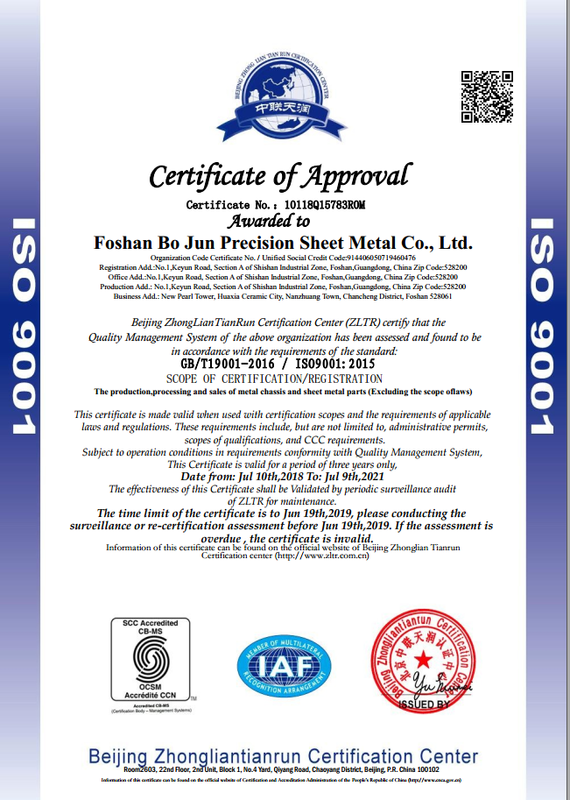 Company Overview - Foshan Bo Jun Precision Sheet Metal Co., Ltd.
6YRSFoshan Bo Jun Precision Sheet Metal Co., Ltd.
As a professional and reliable manufacturer, Bo Jun Precision Sheet Metal Co., Ltd is noted for HIGH PRECISION in the sheet metal fabrication industry. We specialize in Laser cutting, NCT punching, bending, structural welding, powder coating and assembling. Bo Jun is a full service operation offering design, engineering, procurement and manufacturing services. We are better at fabricating precision sheet metal fabrication products and we can handle from prototypes to high production runs. Bo Jun is the place to turn for technically precise, cost-effective production of a wide variety of sheet metal products including equipment enclosure, sheet metal chassis, electrical cabinet, network cabinet, tool cabinet, sheet metal box & case and decorative metalwork. Undertaking designing, manufacturing and secondary processing service, we imported 4000 watt AMADA laser cutting machine, punching and bending machine from Japan. Thanks to our years of experience in the metal fabrication industry, we expanded our workshop from 2500 square meter to 5000 square meter in July 2013 which allows us to reduce lead time and offer better fabrication service to more clients. 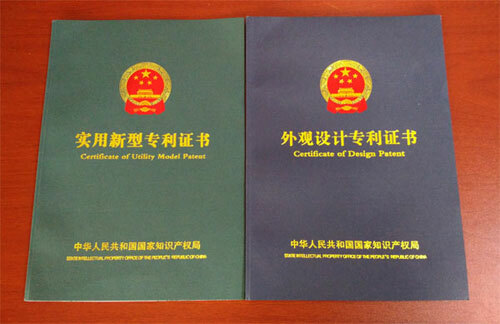 What is more, we make customized products according to drawings and samples. All our final products are strongly required to adhere to the standard of ISO9001 quality management standard. 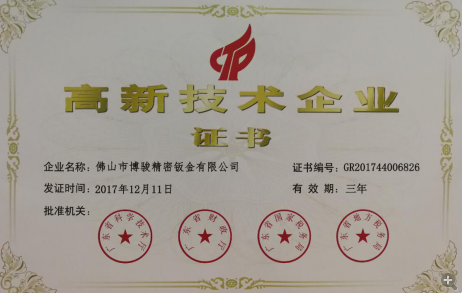 Furthermore, we are ISO9001:2008 certified.Though BJ Precision Sheet Metal Co., Ltd was newly set up in 2013, the predecessor, JJ Plate Factory had been set up for years and most of the technicians in production line enjoy at least 20 years of experience in sheet metal fabrication industry. Providing sheet metal products of high precision and competitive price, we have a few clients both domestic and abroad, such as ANDRITZ in China, ATR in Mexico, Wohler Technologies in USA and so on. Our reputation for quality, service and competitive pricing has been primary factor in our continued growth over the years. 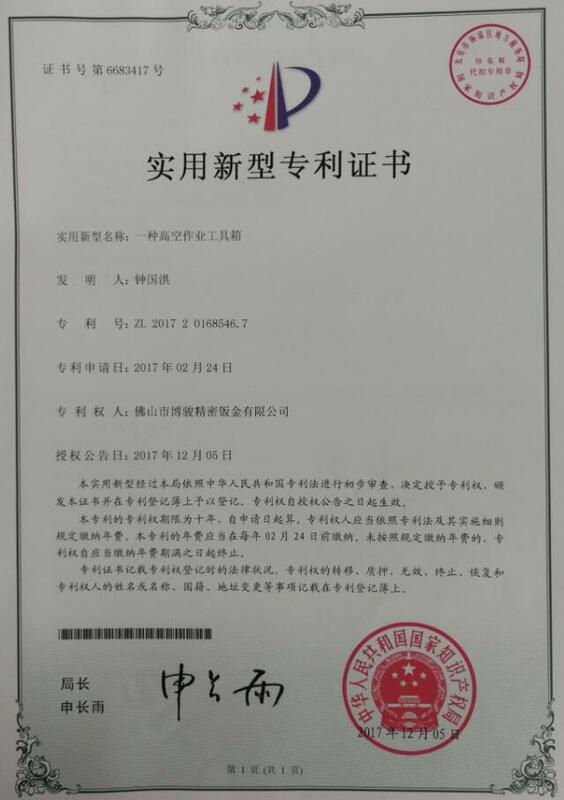 In May 2011, we won the award of The Best Quality and Reliable Manufacturer and Outstanding Supplier in Feb 2013 from two regular clients. Some new clients are recommended through regular clients because they believe in our technology and skills.High precision, good quality and fine management are our core competitive edges. Quality, credibility and excellent service have always been and will always be the goals we pursue. Clients are given priority all the time. We strongly believe: First-class quality with competitive price is the source of business! We look forward to establishing long-term relationships with you in the near future.